The comics contain mixtures of fiction, history, commentary and artwork from a range of international artists who identified as anarchist or socialist. This is absolutely brilliant! Cheers for this! Amazing, thanks! You got anything else like this lying around? bulmer you are the maaan!! I will have these printed just like a proper comic for my library! Oh, I was a kid, with barely any exposure to anarchism beyond the dictionary definition (I had encountered the word in a science fiction story and was blown away by the very idea). 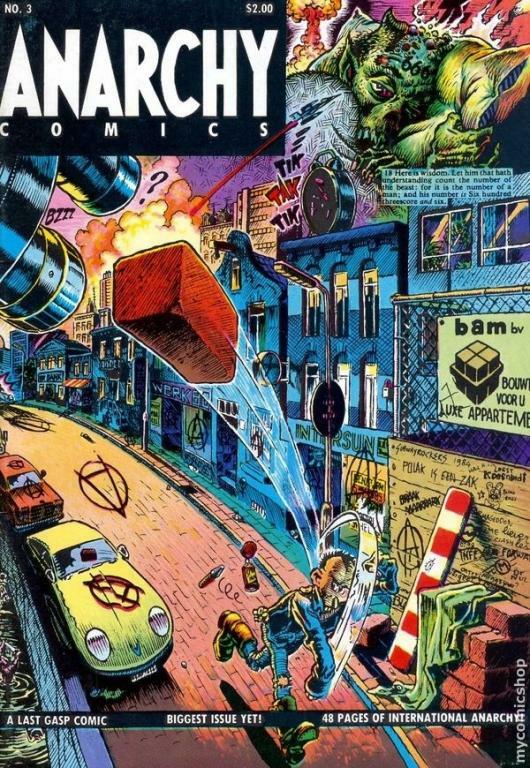 Found Anarchy Comics #1 at a comic book convention, and got introduced to a whole lot of threads of anarchist thought. I also got ahold of a Kropotkin book, but it was over my head at the time — so Anarchy #1 is what got me properly on my start.